Repertory Philippines will stage the grand musicalA Christmas Carol from November 14 to December 14 at Onstage Greenbelt One, Ayala Malls, Makati City. Some of Manila's most popular theater actors will appeartogether in Repertory Philippines' year-end grand musical titled A ChristmasCarol. Michael Williams, Audie Gemora, Miguel Faustmann, Onyl Torres, JoyVirata, Pinky Marquez, Rem Zamora, Oliver Usison, and Liesl Batucan, bring tolife Charles Dickens' immortal characters: the penny-pinching Mr. Scrooge, thegenerous and fun-loving Mr. and Mrs. Fezziwig, and the Ghosts of theChristmas-Past, Christmas-Present and Christmas-Yet-To-Come. Alternating in the role of the young Ebenezer Scrooge are TV host JM Rodriguezand Felix Rivera. The latter is a relative newcomer to the professional stagewho has impressed Manila audiences since his appearance in last year's AvenueQ and Fiddler on the Roof. Meanwhile, Christine Escudero and CaraBarredo are tapped to play the sweetheart of the young Scrooge. Jejie Esguerraand Anna Santamaria play Mr. and Mrs Crachit-the poor but happy parents of abrood of children including the little cripple with the pure heart named Tiny Tim,alternately played by Matthew Esteva and Ethan Paras. Other talented child actors include Nacho Tambunting, DanielDelgado, Basti Paras, Dustin Delgado,Alessa Zialcita, Liezl Nieto, Vea Salvador, Rocio Tambunting, Paulo Esteva, Crystal Paras, Arielle Guevara, Raizel Yu, and Luis Nieto appear in featuredroles. They are supported by a large cast who play villagers, carolers andghosts. Baby Barredo, REP's president and artistic director,co-directs with Robbie Guevara who will also be in charge of media projectiondesign. The artistic team is composedof Mio Infante for costume design, Lito Borromeo for set and lights designassisted by Miguel Faustmann and MartinEsteva respectively; Gidget Tolentino for sound design; and Deana Aquino aschoreographer. Maestro Toti Molina willconduct the Manila Symphony Orchestra. 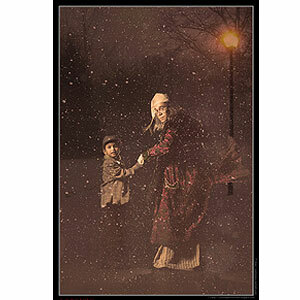 A Christmas Carol is a musical based on CharlesDickens' story of an ill-tempered miser who mistreats his employees, will nothelp the poor, and who considers Christmas a "humbug." He is taught a lesson by the Ghosts of theChristmas Past, Present and Yet-To-Come and is touched by the goodness of TinyTim and his family. REP has doneseveral other musical versions of this story--all of which turned out to befamily favorites. This version, by the Broadway team of Alan Menken (LittleShop of Horrors, Aladdin, Little Mermaid) and Lynn Ahrens, with book byMike Ockrent, played for ten successive Christmas seasons in New York's MadisonSquare Garden. This Repertory Philippines production opens this Friday, November 14, and will run until December 14 atOnstage Greenbelt One, Ayala Malls, Makati City. Call 8870710 or Ticketworld at891-9999 for ticket inquiries.